Earlier this year, I received a hard fought allocation of the “new” Benje Tinto 2015. It was sold out before I could even tell my customers about it. The wine somehow acquired a life and organic PR machine of its very own. A year later, the release of the first Benje Blanco is suddenly on the horizon. But as they say, life is all about timing, allowing me to taste the wine one month after bottling while I’m visiting the vineyards of Tenerife. Where ever you may buy your Tenerife and Envinate wines from, request an allocation for this new White wine now and you may get a few bottles and avoid disappointment. It’s sure to be a future unicorn. 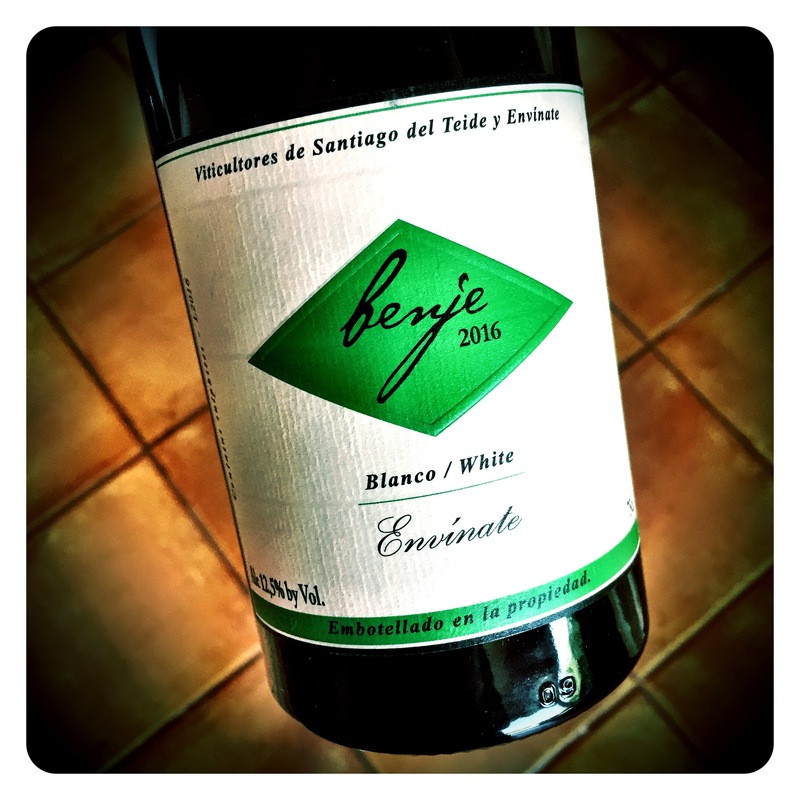 Envinate Benje Blanco 2016, Ycoden Daute Isora DO, Tenerife, 12.5% Abv. Benje Blanco 2016 is made from vines grown at Santiago del Teide at 1000 metres altitude. Ungrafted and grown in the gobelet system, the vines are sourced from up to 15 different terroirs from 70 to 100 year old vines, 60% of which were fermented and aged in concrete tanks and 40% fermented and aged in neutral barrels of 228 litres. 15% of the grapes were fermented with skin contact. This Benje Blanco 2016 was bottled in July 2017 and judging from the serious aromatics and fruit concentration, will benefit from further time in bottle before showing at its very best. This highly anticipated release is similar but also different to both the Taganan Blanco and the Palo Blanco. They all share elements of intense crushed granite minerality, volcanic basalt notes, rasping salinity, chalky aromatics, and taught linear white citrus tension. The Benje Blanco however seems to have an extra degree of crystalline purity, precision and white citrus fruit intensity, that manifests itself on the palate with greater concentration and a denser, fleshier textural breadth. Picante and pithy, with beguiling dried tangerine peel, the palate has, to use a fellow wine trade colleague’s term, “mesmerising mineral austerity”. A truly beautiful creation, this wine will probably be sold out almost before it’s even released. Drink now to 2030+.